Area families are invited to enjoy two days of fun-filled activities at the annual Family Fun Day. The event, organized by the St. Maries Rotary Club, is Saturday and Sunday in conjunction with the Benewah County Fair. Once again, the St. Maries Rotary Club’s Family Fun Day will be held in conjunction with they Benewah County Fair. 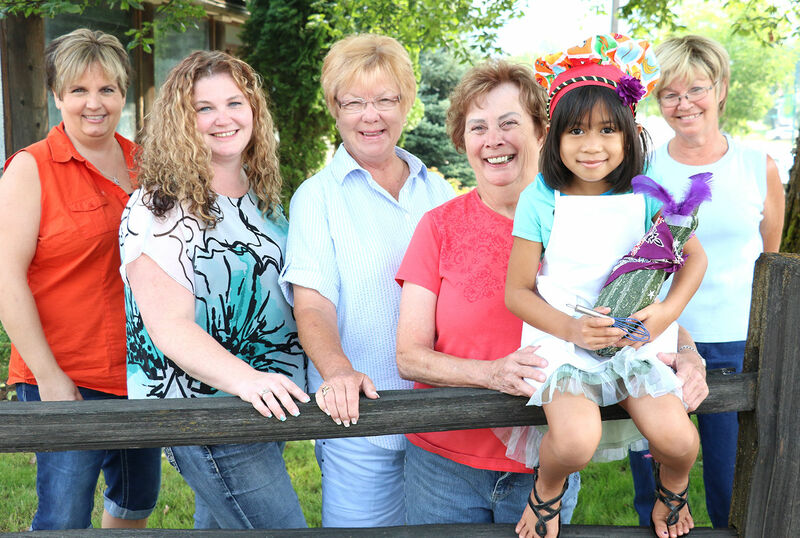 Lynn Masterson, Sandee Reedee, Stacie Lamb, Carol Humphrey, Nisha Banjao and Nancy Malensky invite families to the fair and to participate in a variety of additional events planned as part of the two-day Family Fun Day event. A barbecue contest and vegetable decorating contest is planned. The cost to attend is $35 for a family of four for a two-day pass. Additional family members are $10 and an individual pass is $13. A single event costs $2. When participants purchase a pass, they also receive a ticket for the grand prize drawing. Additional tickets for the drawings cost $1 each or six for $5. The event begins with the St. Maries Rotary Club serving breakfast at 9 a.m. Saturday. Lunch, which includes hot dogs and brats, begins at 11 a.m. Several crafts for children including spin zone art will be from noon to 5 p.m. in the lower fairgrounds. Other activities from 1 to 5 p.m. include balloon animal art, face painting, a 16’ water slide, 38’ new millennium obstacle course, a toddler zone, bounce houses, a human gyroscope, bungee basketball and more. On Sunday several contests, beginning at 11 a.m., are planned and include the water balloon launch, stick horse race and elk bugling. A $100 prize is up for grabs in the vegetable decorating contest. The contest is for youth 12 years and younger. The vegetable must be grown and decorated by the contestant. The public will be encouraged to vote for their favorites. The contestant with the most votes will be the winner and receive cash, compliments of Triple X Feeds. A $250 prize will be offered to the overall winner of the barbecue cook-off challenge. The cost to enter is $30. A participant may enter as many categories as they would like. Five categories are being offered this year and include pork, beef, chicken ribs and more. Contestants are still needed for the event. Those who plan to participate are encouraged to register ahead of the event. Participants who pre-register may start cooking anytime Sunday morning. Judging is at 2 p.m. with winners announced at 2:30 p.m. Those who do not pre-register may register at 8:30 a.m. the day of the event and then start cooking. For $5 members of the public will be able to sample the recipes that come off of the grill. Each person will be given a token to vote for their favorite for the people’s choice award. The winner of the people’s choice award will win half of the proceeds from what the public pays to sample the recipes. One lucky individual will lay a smooch on Lizzy the Donkey in the Kiss-the-Donkey contest. This year’s contestants include Bryan Chase, Donny Masterson, John Cordell, Carrie Nordin, Lena Sindt and Janet Potter. Whoever raises the least amount of money will kiss Lizzy. The contestant who raises the most money will donate half of their proceeds to the charity of their choice. The rest will benefit the St. Maries Rotary Club. Finally, Radical Rick from Channel 6 in Spokane will present the Extreme Science Show at 1:30 p.m. Winners of every contests will be announced at 2:30 p.m. During the day Sunday, there will be a drawing for prizes donated by local businesses every half hour. There is also a firewood raffle planned and a 50/50 raffle. Tickets are a $1 each or five for $6. The day will conclude with the grand prize drawings. Adults have a chance to win the 2 Fer, $200 worth of all the groceries you can put in a cart in two minutes at Archie’s IGA. Teens can win Silverwood tickets for two, and children up to 11 can win a tablet. Ms. Humphrey said Visa cards will be accepted at the event. 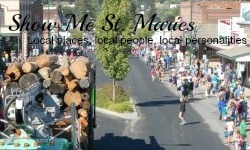 She added the St. Maries Rotary Club will have a booth near the events where passes can be purchased. It will be under a big, purple umbrella. Contest entry forms will also be available there. For more information about the two-day event call Ms. Humphrey at 245-2457.